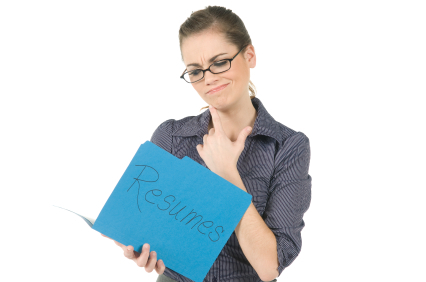 Frequently, I encounter job seekers who are trying to find out what, if anything, might be missing from their resume. Of course, they also ask what I’d do to improve it. These are valid questions, and in such a competitive market, it makes sense for candidates to request this type of feedback. However, I won’t do it. Why not? There’s simply no way, other than getting to know the twists and turns of your professional story, to figure out if your resume truly does its job for you. No matter what I (or any other resume writer) thinks of your resume, it must contain a full, context-based story of your career and specific value-add… and it’s impossible to figure out what might be missing at a glance! Yes, this is contrary to the “free critique” offered by so many job boards or career services. Sure, we can debate keywords, presentation, content, borders, and formatting all day, but at the end of the discussion, all you’ll have is yet another opinion. What job are you targeting? How well does the resume capture your competitive edge for this job? Does it generate the results you want? These 3 factors tell me more about the likely success of your resume than any opinion I could put forth. They also give me a clear picture of the type of professional assistance (if any) that you’ll need to achieve your goal. The way your work affects the bottom line (your personal brand, as we say) must be conveyed clearly and strongly, and to the right audience, in order for employers to take notice. And in the end, that’s all that matters when it comes to resume effectiveness.